Jason on 1400 KLIN Radio Show 18-05-23 · GenR8 - Marketing Evolved. Recently Google has created an AI that would help assist with making reservations, or booking appointments over the phone, and you don’t have to do a single thing. The digital world is constantly evolving for either ethical reasons, adapting to the simultaneously evolving technology around us, or simply to make our lives easier. However, it may be hard to keep up with the constant evolution of technology, and that is why we exist – to help YOU adapt to these situations. 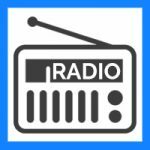 Listen to Jason and Jack talk about how technology, specifically Google and Apple, evolved throughout the years and how they changed our lives in the digital world on KLIN Radio Show 18-05-23. He talks about the problems that may arise with these evolution, and how you may be able to cope with it. Believe it or not, as evolved as everything may seem, technology will continue to grow and improve. Also, help raise some funds for Mourning Hope this Father’s Day by attending Jack’s Walk of Shame 2018 this coming June 15! They’ll be all around downtown, including the Railyard. For more information, you can contact us by filling up this form.